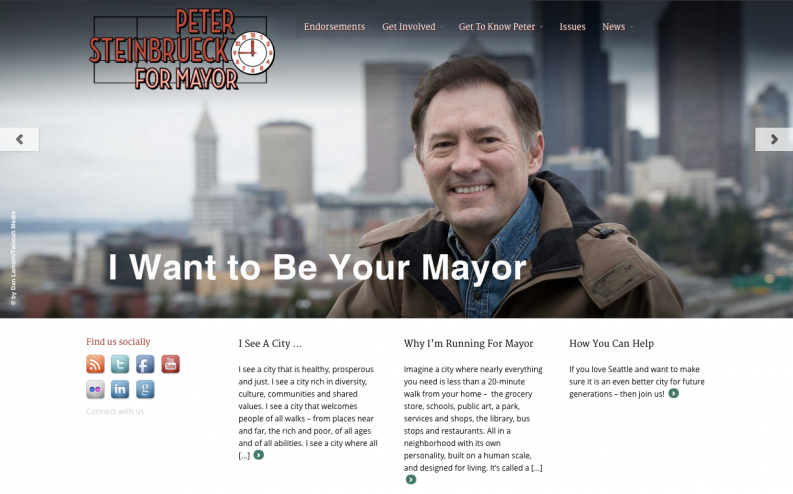 Kathy E Gill | Web Design: Steinbrueck For Mayor - Educator, WebUX, Writer. Rabble-rouser. The campaign wanted a modern design and a site that would be easy for non-technical staff to maintain, which is why we picked WordPress as a platform.